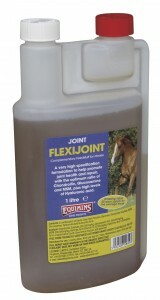 Our Flexijoint range of joint supplements for horses has lots of benefits. 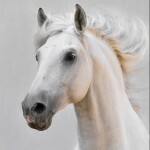 Not only do all three products come with a full money back warranty if you don’t notice a difference in your horse after feeding it (yes, we’re that confident), but they’re also very well priced. The range is made up of three products: two liquids and one powdered supplement. The composition of each is a little different with the powdered version having higher levels of glucosamine, MSM and hyaluronic acid, and the two liquid versions benefitting from additional ingredients (namely devils claw or bromelain) for further joint support. Although all three supplements contain a range of ingredients (click on the product’s name and you’ll be taken to the product on our website), for comparison, we’ve included the levels of four of the most popular joint supplement ingredients below. Flexijoint Liquid provides these ingredients in a blend of Devils Claw herbal tincture and glycerine. The liquid also contains 600mg of bromelain, a derivative of the pineapple, for additional support. 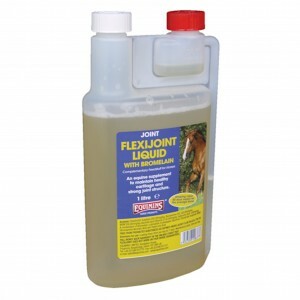 If you compare our products and the levels of these important ingredients to other horse joint supplements on the market, you might well be surprised by how much ‘good stuff’ our Flexijoints contain. Because we include such high levels, suggested feeding amounts are modest. Many people feed less than the amount we suggest per day and still report great results. So, how much does it cost to feed Flexijoint? We’ve worked out the cost per day of all three products based on a 16hh horse and the smallest pack size available. This means that if you have a pony, you buy a larger size or you feed less than the suggested amount, it’ll cost you even less. Prices correct as of January 2016. We’re really confident in this product and have many happy customers that swear by it – that’s why we offer a fully money back guarantee if you don’t feel the product has worked for your horse – just keep your receipt. 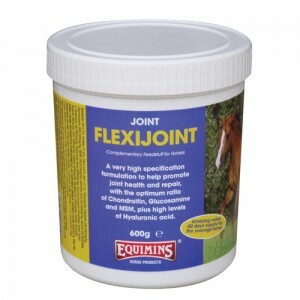 In addition to Flexijoint for horses, we also make Flexijoint for dogs and cats – follow this link for more information on our joint supplements for pets.